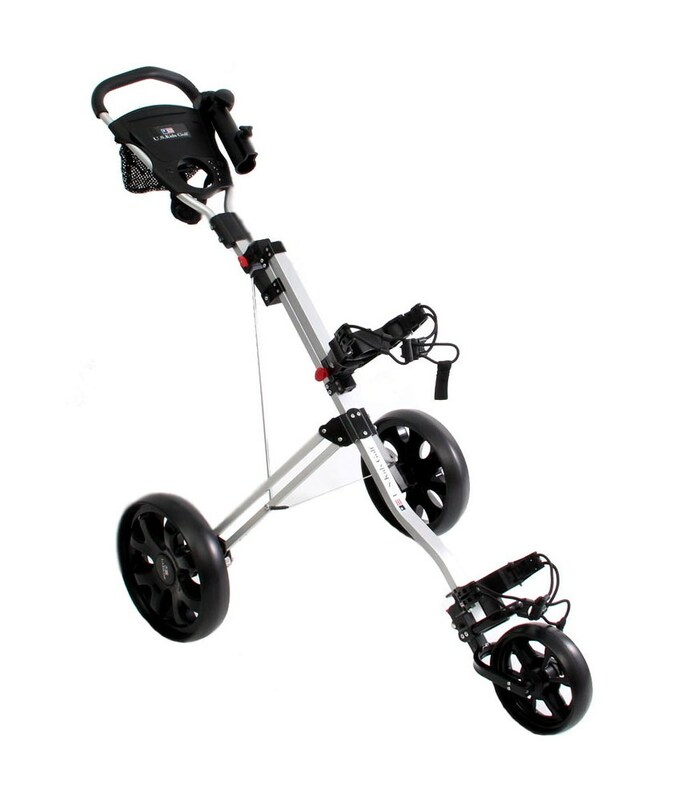 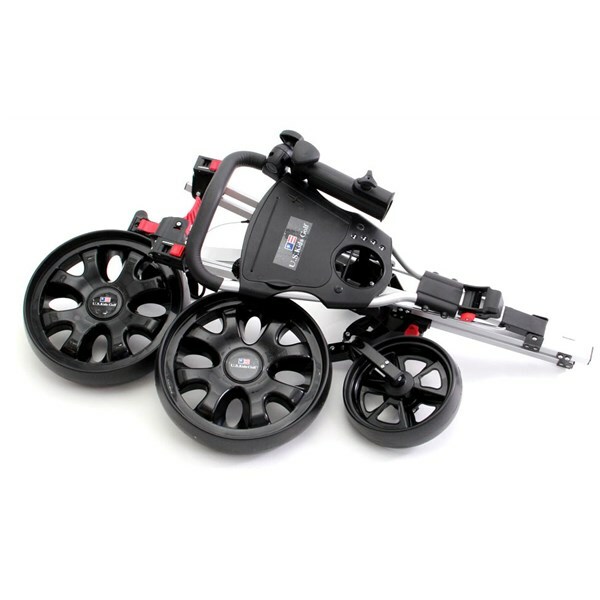 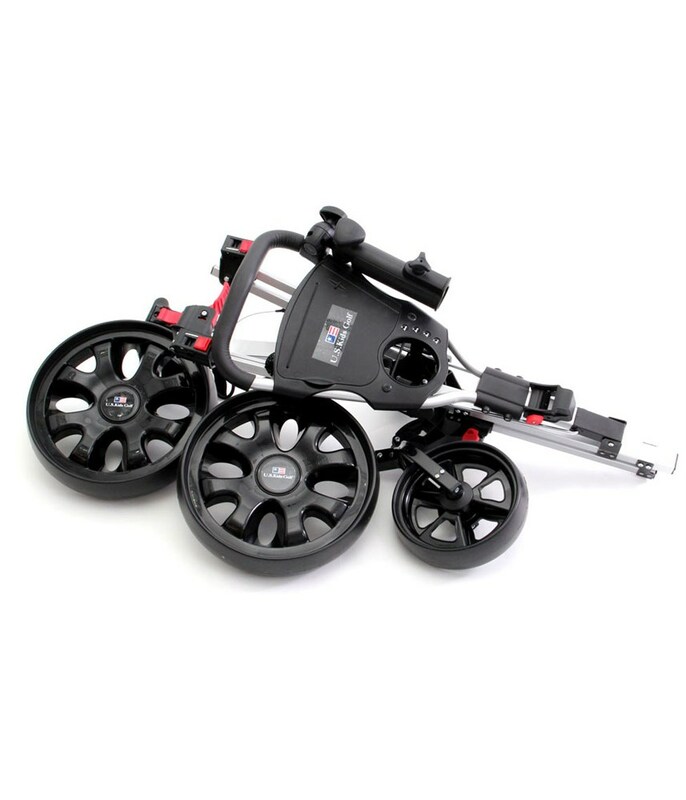 Lightweight 3 wheel push cart. 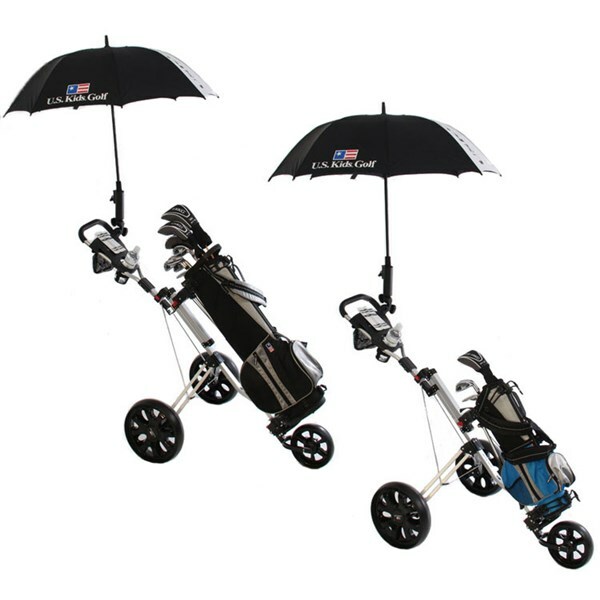 Adjustable top bracket to fit golf bags 26" to 32". 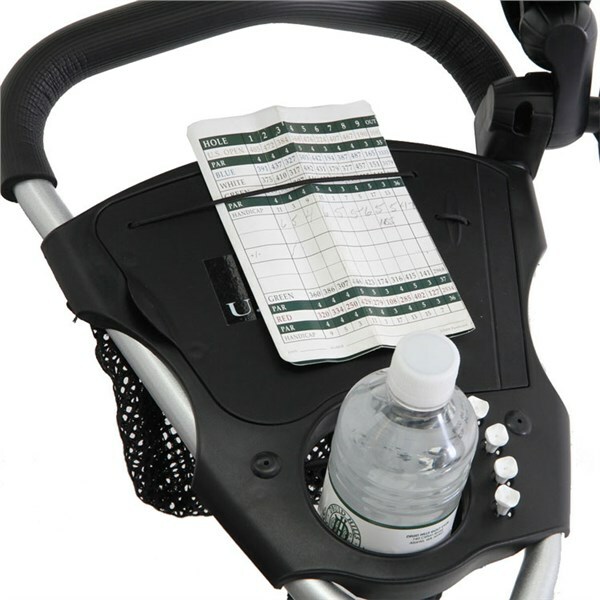 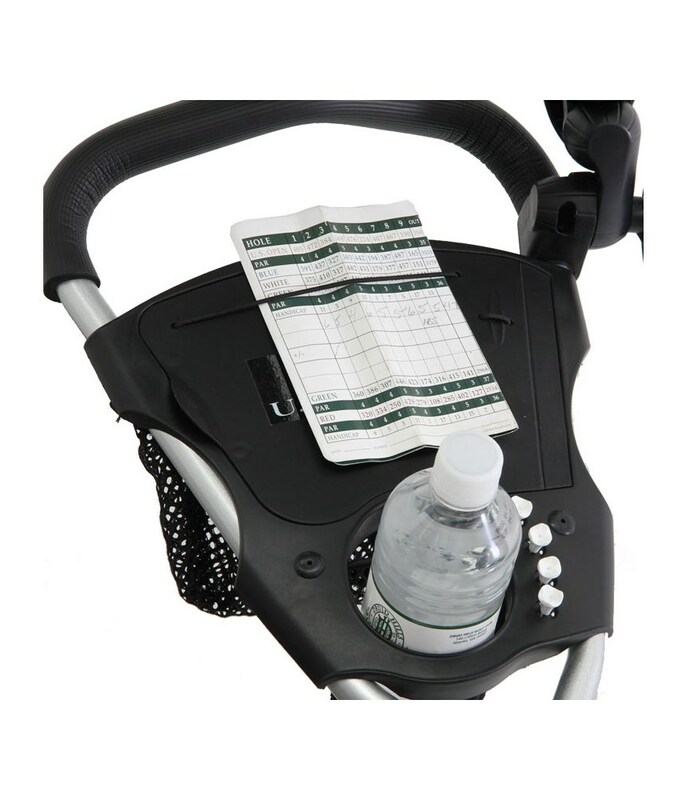 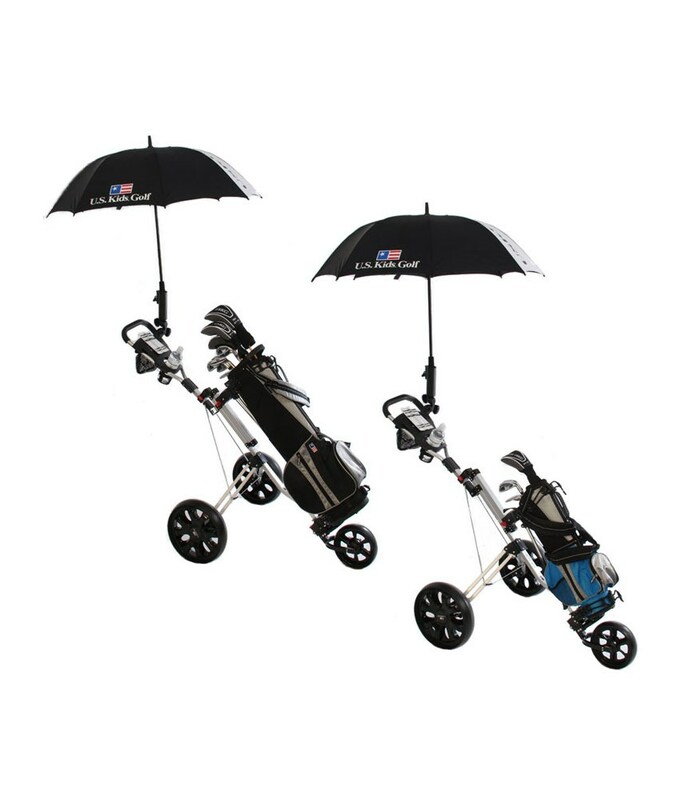 The dual strap secures the golf bag to the cart. 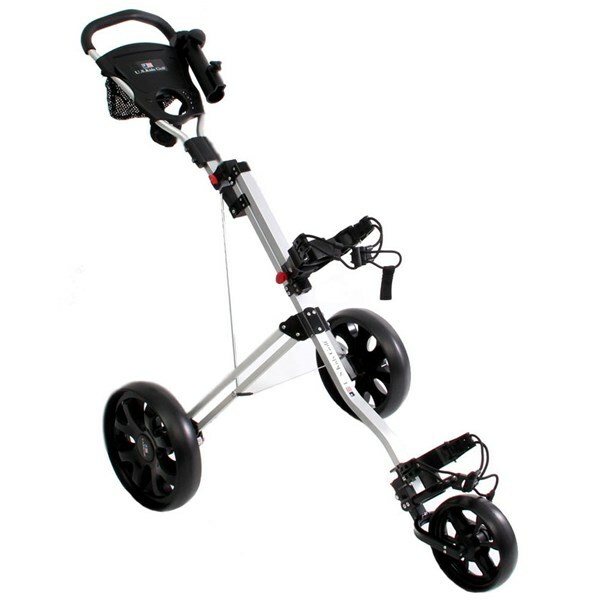 Fits golf bags from 26" to 32"